With the Gravity Forms Color Field plugin you can easily add color selection fields to your Gravity Forms. Enable visitors to visually see colors upon making a selection giving you the ability to utilise exact colors to the users specification. 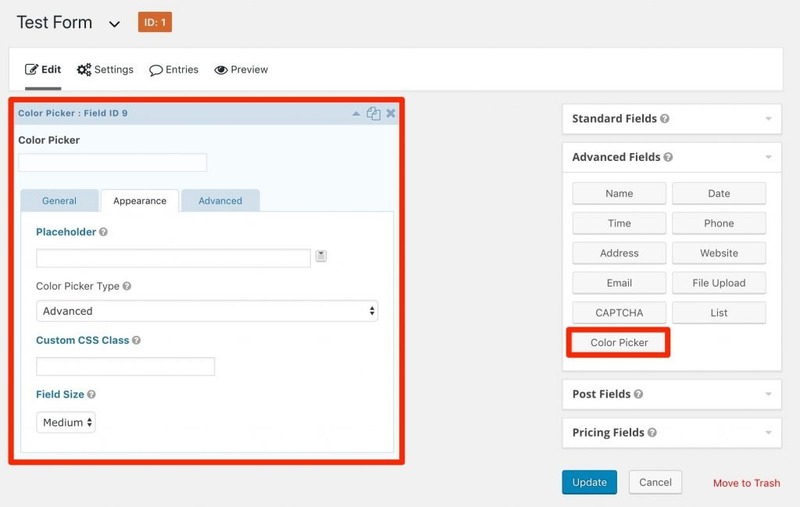 It’s as simple as installing the plugin and selecting the newly available “Color Picker” field from the Advanced section when creating your form. Like any other Gravity Form field you can add additional classes, use conditional logic, change the field name etc. 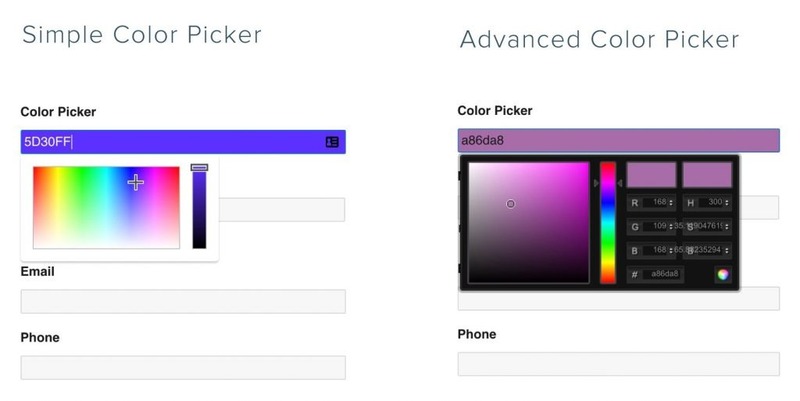 We also provide 2 different color pickers a simple color picker and an advanced color picker (which can be changed in the field settings under the appearance tab). With the advanced color picker you can specify HSB or RGB values in the picker. A must-have connection at a low price! At just $15USD, the Gravity Forms Color Field plugin provides a simple way for users to visually select colors in Gravity Forms! Gravity Forms Color Field includes free updates for 1 year and the plugin can be renewed for continual updates if necessary. Gravity Forms and WordPress are separate products and not owned or managed by Northern Beaches Websites. Please read the terms and conditions for Gravity Forms Color Field here.